Booking a ferry in or to Indonesia is simple, easy and safe with AFerry, just use the booking form above to get a price. Booking a ferry to or from Indonesia couldn't be easier with AFerry. You can either use the booking form at the top left of the page. Indonesia is an archipelago comprising 17,508 islands. Despite being a densely populated country, Indonesia has vast areas of wilderness that are home to many animals, including critically endangered species. This helps to make Indonesia the second most biodiverse country in the world. 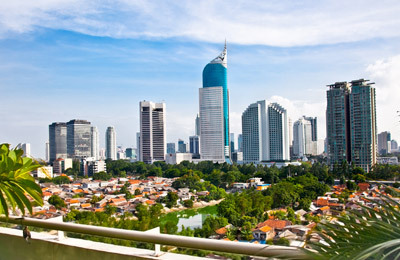 Indonesia is a fantastic place to go in search of exciting activities. Naturally as a group of islands in the Pacific ocean, diving, snorkelling and surfing are a must. On land, hiking and trekking are popular activities and a great way to explore the country. Away from exciting activities you may want to relax and enjoy some of the local cuisine. Indonesia takes influences from China, India and Europe to name a few places, creating a unique style of food that has to be tried. Indonesia is a country waiting to be explored, with wildlife and natural landscapes that you won't see anywhere else. Indonesia is an archipelago made up of over 17,000 islands, and the experience you get very much depends on the island you visit. Each island has it's own quirks and traditions. Bus travel is the best way to get across land. If you are interested in island hopping then there are regular domestic ferries travelling between the major inhabited islands. Unfortunately these are not currently available to book with AFerry, however you can buy tickets on the day. With much of Indonesia left untouched, it presents an opportunity to dive far into the past. Indonesia is home to endangered animals such as the Sumatran Orangutan and the Komodo Dragon. This gives the country a rich biodiversity that is rare in this age. The preserved landscapes are worth exploring through either hiking or trekking. Sitting along the equator, you would be right to expect some hot weather. This, and the fact that Indonesia is surronded by the Pacific Ocean, makes sea activities extremely popular with locals and tourists alike. Diving, snorkelling and surfing are just a few of the adventures you can have in Indonesia. Indonesia has two seasons - wet and dry. The dry season is the best time to go for holiday makers, and this falls between May and September. The wet season is best avoided as on some islands the rain can fall non-stop for days, causing problems for transport. 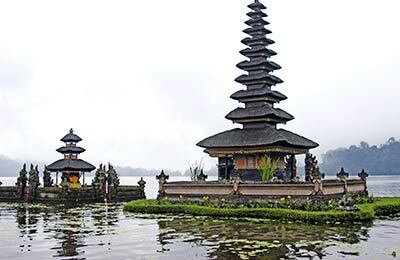 AFerry.co.uk offers the best way to find the cheapest ferry routes to Indonesia with its easy to use booking form. Begin your holiday on a ferry and start relaxing straight away!